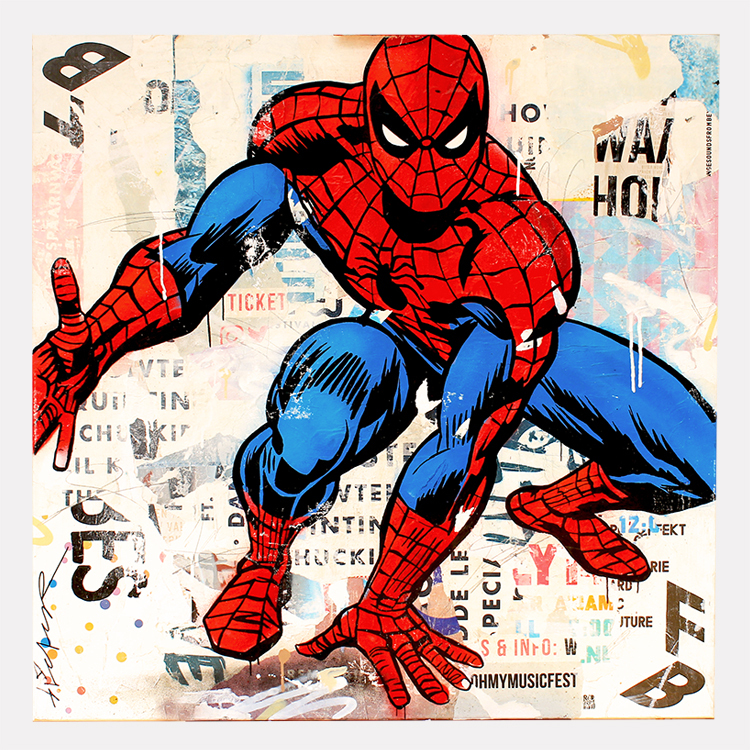 Peter Parker aka Spiderman is made on a collage of old musicpaper. The second layer is made with different spraypaint colors. 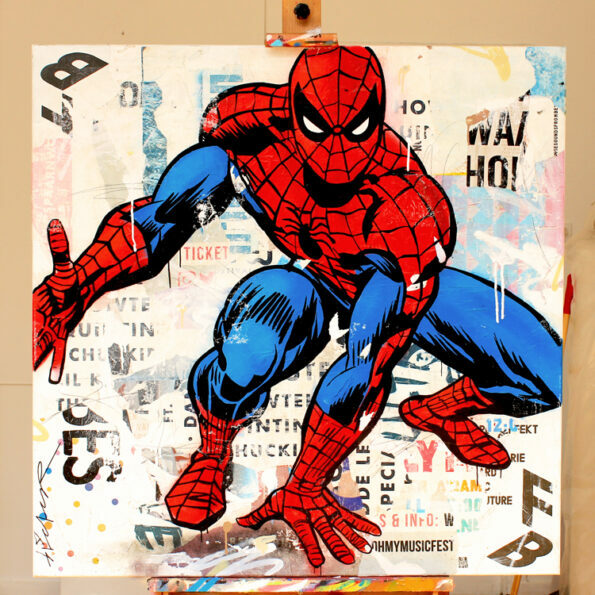 Spiderman himself is made with spraypaint, acrylic and streetposters. He’s finished with a shiny laquer layer.